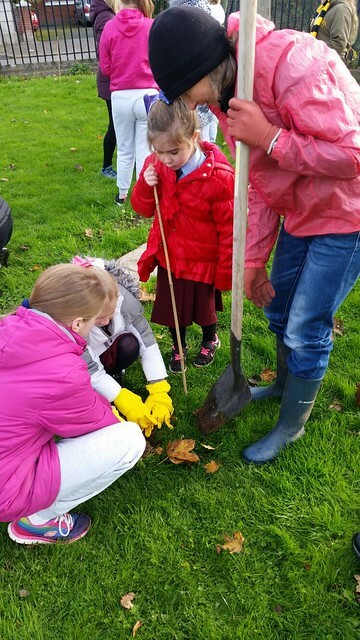 The girls on our Green Team had a busy morning on Tuesday November 7th as they helped plant 50 small trees in our school garden! A group of volunteers from Experian, a local community who kindly donated the trees, visited the school and worked with the committee members to plant the trees. Noel, our caretaker, was also there to lend a helping hand. Everyone did a great job and we look forward to seeing the trees grow over the years to come.